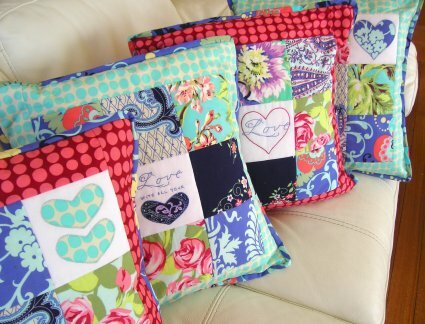 Cushions are a great way to brighten any room and this set of four will do just that! 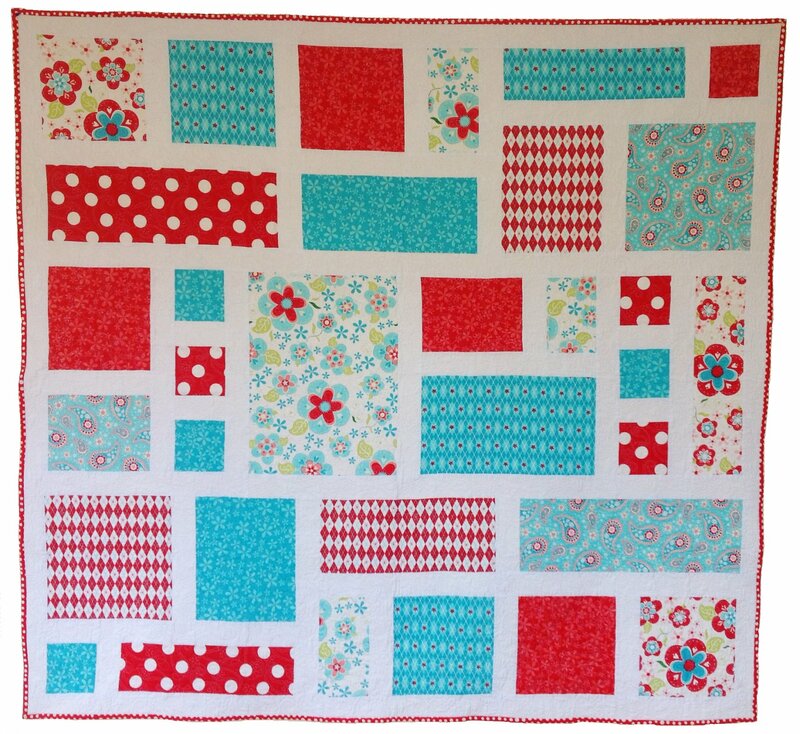 The unique embroidery and appliqué designs are easy to sew and would look equally beautiful in fresh and funky fabrics or vintage prints. 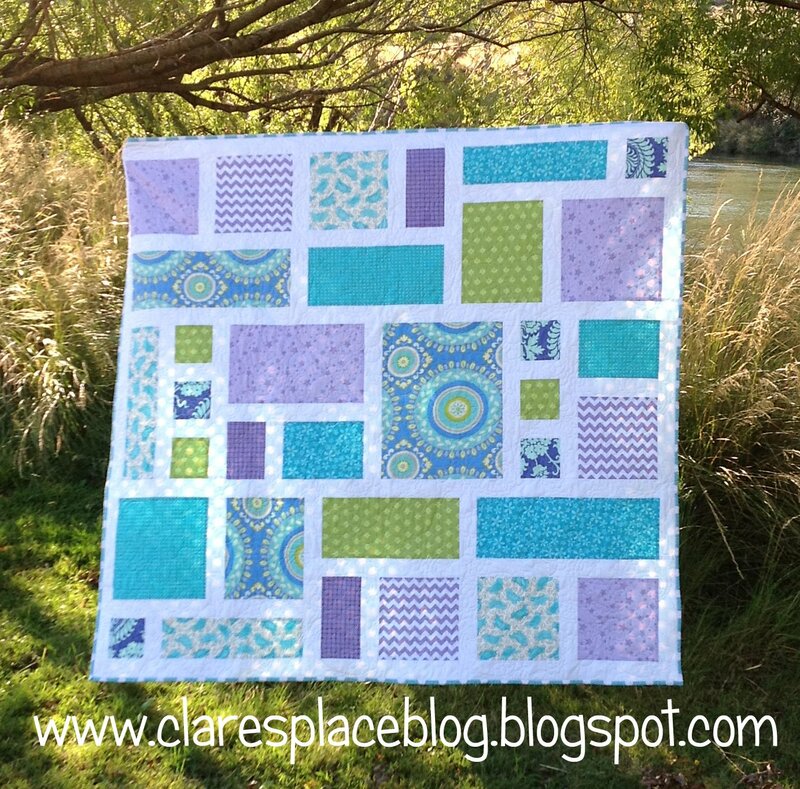 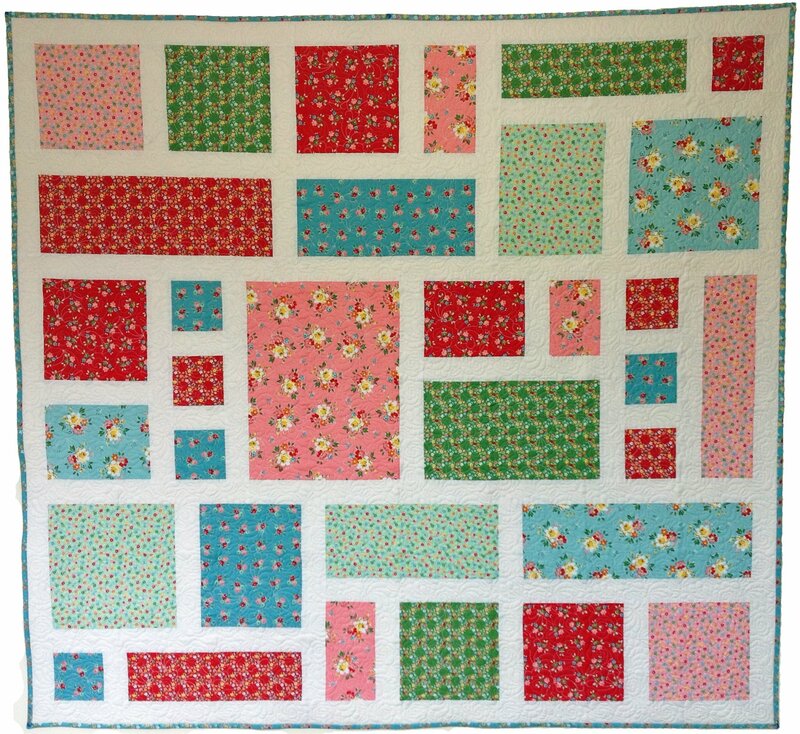 Why not make one or more as a special gift for a treasured friend or team them with the Jaynes Love Quilt. 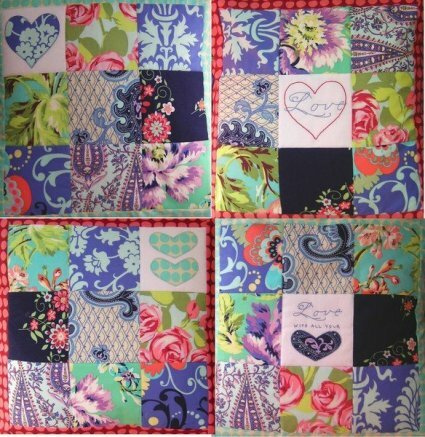 Fabrics: Love by Amy Butler for Westminster Fabrics.